The holiday season is an exciting time in college. You're going to be going on holiday break and seeing your friends and family. You're also going to have a break from college courses and you'll be able to do some great dorm room decorating in your college dorm room. Dorm room decorating for the holiday season is as exciting as putting up your dorm room decorations when you first moved into your college dorm room! When you're starting your dorm room decorating with your college Christmas tree, add our Copper Fir Tree with Mini Lights. Our Copper Fir Tree is a unique addition to holiday dorm room decor. 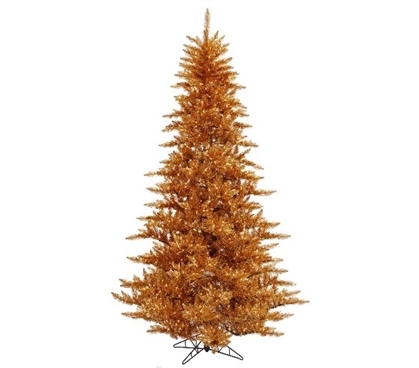 The golden colored branches will make your dorm Christmas tree stand out and wow your friends that come over to visit before going home for holiday break. This compact dorm necessities item won't take up a lot of space in your college dorm room and you'll also save plenty of time dorm room decorating for the holidays. Wrapped around our Copper Fir Tree are clear mini lights on yellow wire, saving you time on wrapping the dorm mini lights around your dorm Christmas tree yourself!